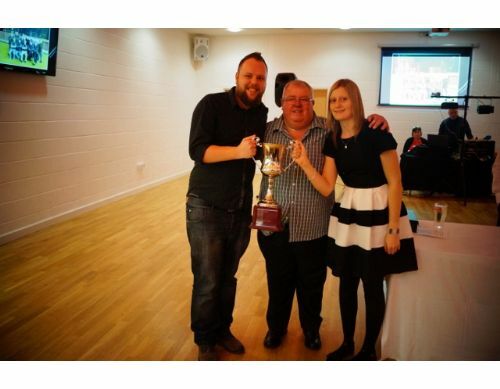 Former Altrincham & South Manchester League president Andy Nolan presents Amanda Ridley and Gary Minton with the 1st Division Championship Trophy. 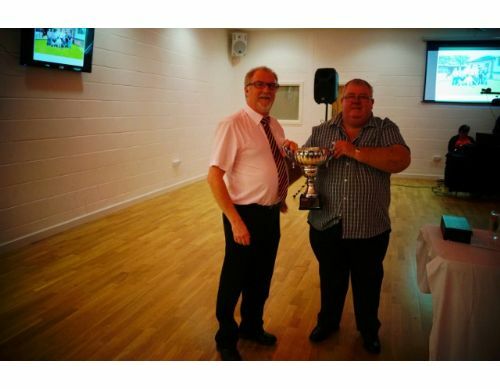 Former Altrincham & South Manchester League president Andy Nolan presents Neil Williams with the A T Nolan Trophy. 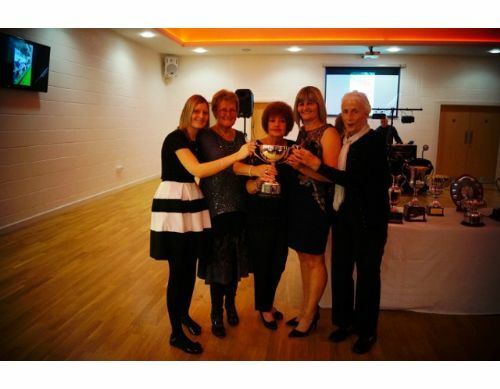 TEBL Chairperson Linda Cooper presents Amanda, Charlotte, Cathy and Ayls with the 1st Division Championship Trophy. 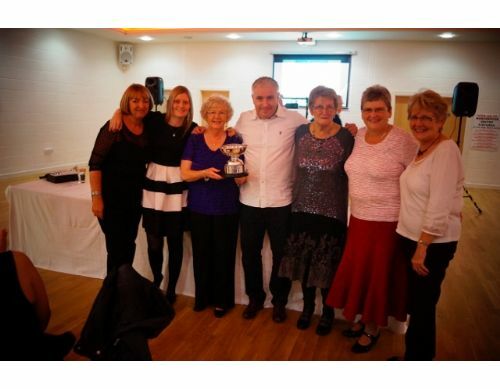 Gary Ellis presents the Lloyds Ladies Denise, Amanda, Maureen, Charlotte, Sue and Brenda with the Cheadle & District Ladies League 1st Division Championship Trophy.